Probably the World's Smallest Watch Manufacturer. 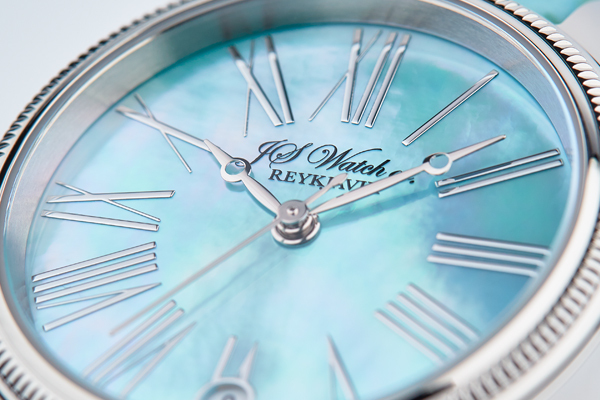 All JS Watch co. Reykjavik timepieces are designed and assembled by hand in our studio/workshop located in Reykjavik, Iceland. In our production we only incorporate highest quality Swiss movements and European made parts and components. Every detail of our timepieces has been given the personal attention needed for perfection. The limited volume of production gives every timepiece a personal character and a true feeling of exclusivity. Our idea of engineering classically inspired designs to modern precision, using finely constructed traditional mechanical calibers adjusted by hand, respecting the watchmaking traditions of the past has proven successful. Our customers instantly appreciated the personal attention given to them by us, their fellow watch enthusiast. The idea of purchasing a watch from a watchmaker had been forgotten in the era of big brands. Please contact us at info@jswatch.com to get a price list or personal assistance.